The retreat center was as beautiful as Mart promised. It’s called GilChrist, but welcomes all faiths. Our room had a meditation mat and cushion and an altar with a hawk feather, a turkey feather, and a candle. I felt amazingly comfortable there. My relationship with Christianity has been rocky, but my faith–decidedly not Christian–is strong and sustaining. I felt refilled by the butterflies dancing with the wildflowers and the bees humming in the labyrinth garden, by the hawks crying in the cerulean sky and the birdsong in the woods around the cabin, by the fat little chipmunks and the scolding squirrels and the brilliant scatter of stars in the sky at night. I felt as if I came back to myself there. Something unhitched inside my body. And I wrote pages. I dumped my thoughts into my notebook and it was glorious to feel the words coursing through me. The pieces of my novel began to fit together again. 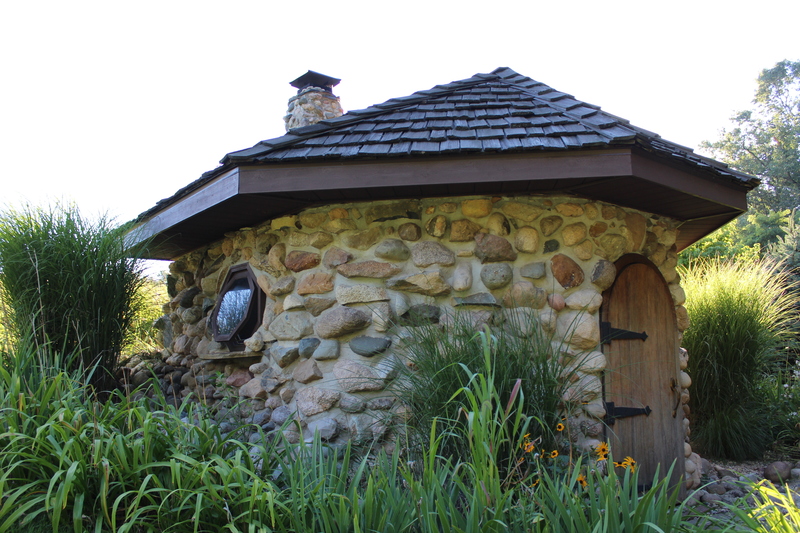 I wrote in the tiny cedar porch of our “hermitage.” I wrote at the kitchen table overlooking the meadow. I wrote sitting up in bed and on the bench on the porch. Best of all, I wrote in the lovely stone chapel down in the hollow. I was hesitant to even step into the chapel at first. 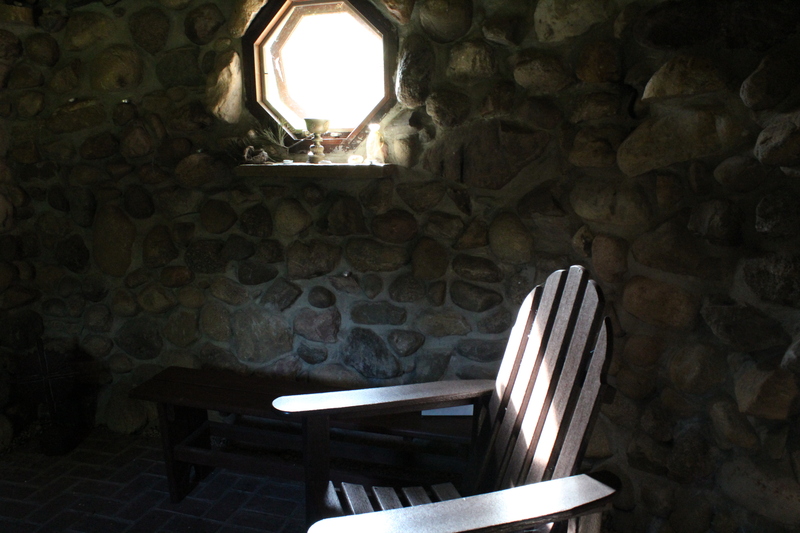 It was one of the few places at the Retreat Center where I encountered a cross, but there was also a chalice and more feathers, a nest, rocks, and a pine branch on the window sill. As an offering, I added some downy hawk feathers I’d discovered while wandering around. My gods live in the wind and the earth, in the trees and the sky. Sometimes they dress themselves as birds or as butterflies. Sometimes I can even find them inside a chapel on the margin of a meadow. All in all, the retreat was magic of the best kind. I’d forgotten it could be so simple. I hope it’s reflected in my novel, whenever it finally makes it out into the world. This entry was posted in Travel adventure, Writing Retreat and tagged Death of Memory, GilChrist Retreat Center, inspiration, spirituality, wildlife. Bookmark the permalink. I am with you! What a wonderful retreat…feathers and candles are good. All the best on your novel. Thanks, Sweetie! Good luck with your novel, too.